Planet Earth was the most expensive show the BBC had ever commissioned when it aired in 2006, which is probably part of the reason we've had to wait ten years for a new series. But it's finally happening. The BBC has confirmed that Planet Earth II will air later this year, and will be coming to us in glorious UHD 4K-o-vision. It will also be making use of some other advanced technologies to make this even more immersive than the first season, including aerial drones and the latest camera stabilisation tech. While using drone technology might alleviate some of the costs of using helicopters and other human-piloted vehicles, it could also help the team, and us the viewers, get even closer to nature. 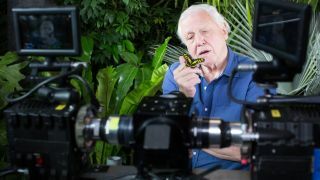 Most important of all, Sir David Attenborough will be back to present the returning series, which hasn't yet been given a confirmed air date. Attenborough says he'll be getting out on location "in the next month or so". Locations will include jungles, cities, deserts, mountains, islands and grasslands, says the BBC. If there was ever a reason to get a 4K TV, this is it.